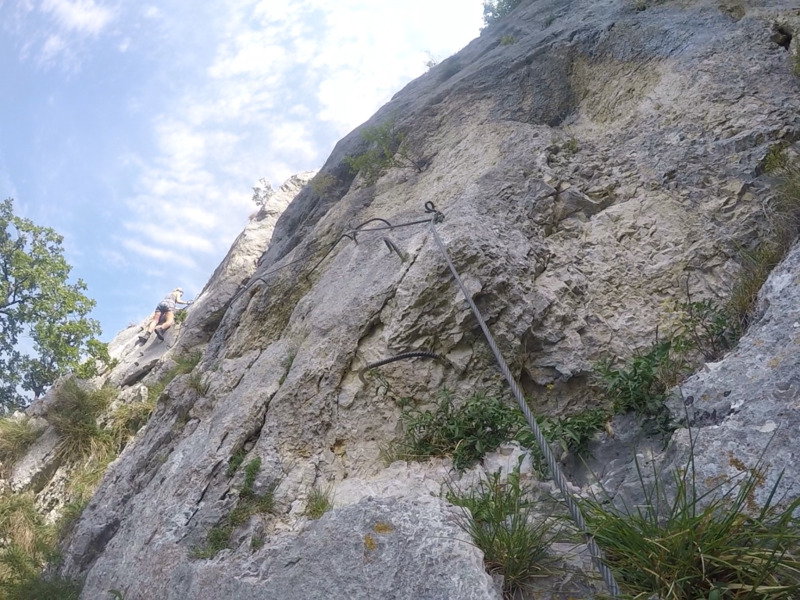 Have you ever tried klettersteig/via ferrata? Klettersteig is called via ferrata in Italy, France and Spain. Via ferrata means ‘an iron road’. In German-speaking countries like Germany, Austria and Switzerland it is called klettersteig. Different name, but same sports. The trails are set up next to a cliff and mountains. These trails are secured with a thick metal wire, rungs or ladders. Those are meant to secure yourself with special gear. 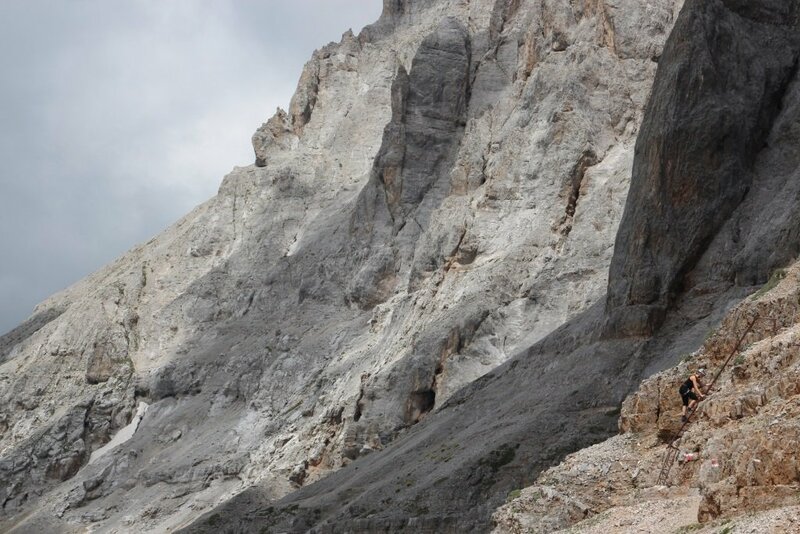 Via ferrata routes are deferred in different classes from easy to extreme difficult. You can make short trails, for a few hours or multiple day tours, where you can stay in a mountain cabin. Some trails will pass ridges, bridges, ladders or sometimes you even have to cross a waterfall. On internet you have many websites which explain about the routes and where you need to start. Make sure you know your own skills before you start a trail! The trails are classified in 5 difficulties. In the German-speaking countries the classification is expressed from A (easy/light) to E (extremely difficult). In France and Italy you will find a same classification, but it is called differently. F (easy/Facile) to ED (Extremely difficult). With each level the route becomes more difficult in higher demands, strength, endurance, experience and technique. At every starting point of a via ferrata/klettersteig you will find a sign about what gear you will need, the classification, duration and length of the route. 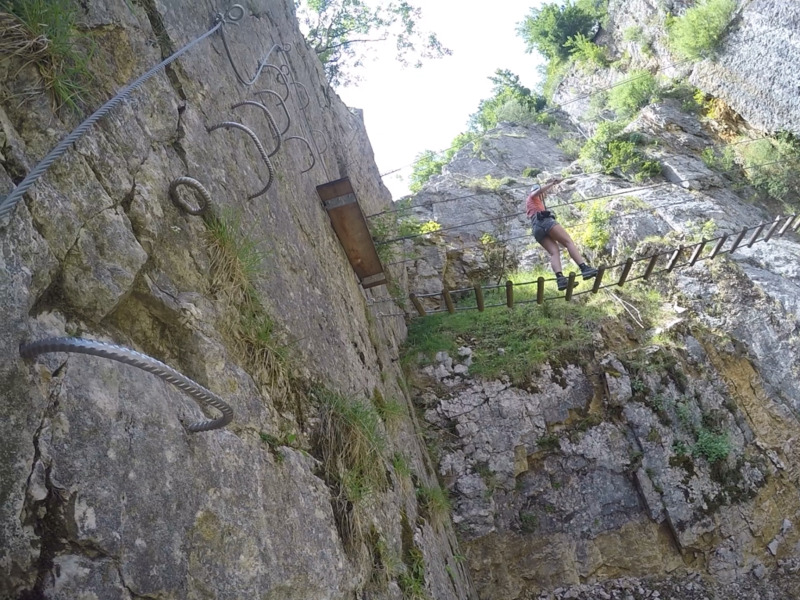 For this blog series, I will use via ferrata or klettersteig, depending in which country I will practice the sport. I will give a short explanation of the route which I have done and how I managed to do it. It will be based on my own experiences. Me and my husband bought our gear in different shops. 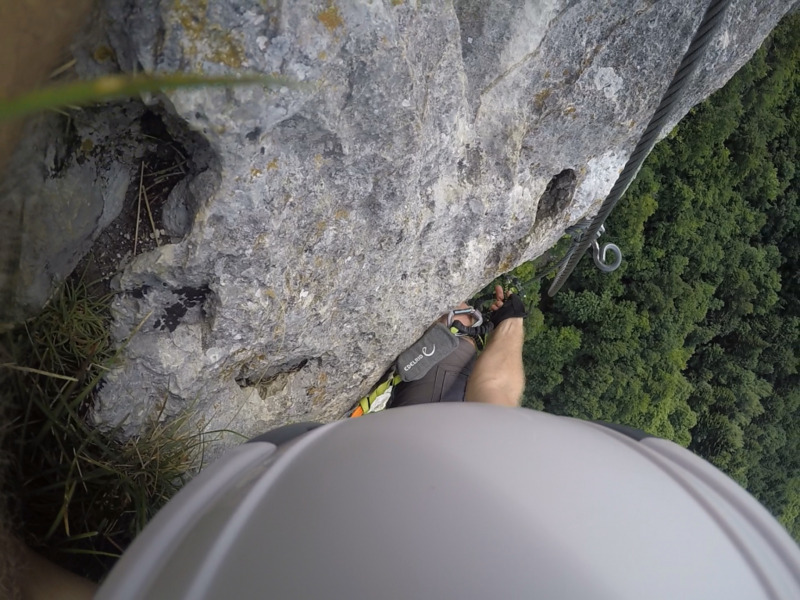 Our helmets are from a local outdoor shop and the via ferrata gear is from Decathlon. We bought fitness cloves, which prevent our hands from blisters, using the iron ladders. For shoes we use normal hiking boots. But you can use sneakers with a sturdy sole. Make sure the shoe is not slippery, as you need a lot of grip. 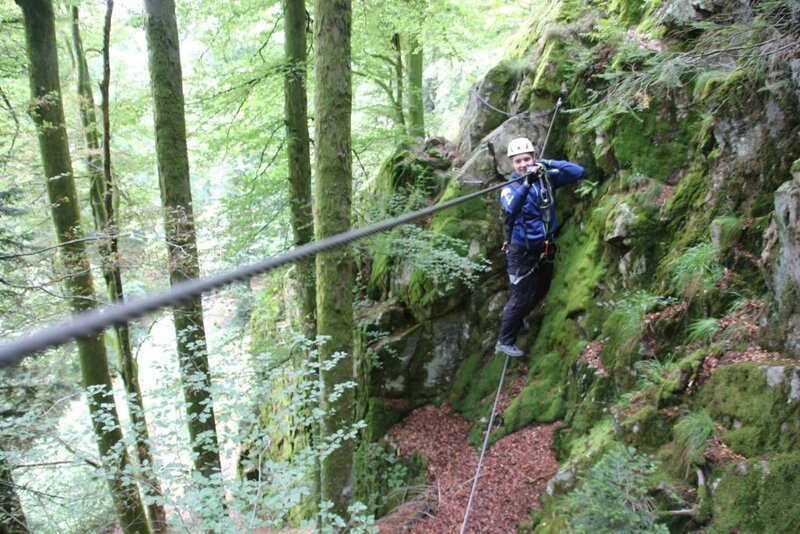 More via ferrata and klettersteig routes you can find here.